Scott Flynn, founder and CEO of IndieDwell, said many of the energy-efficient materials he used to build this storage container home are the same he uses in constructing high-end custom homes. You've seen those large metal boxes atop truck trailers. They're used to ship goods from distant seaports to local warehouses while remaining in the same container. Now a Boise home builder says they could be one solution to the shortage of low-income housing. 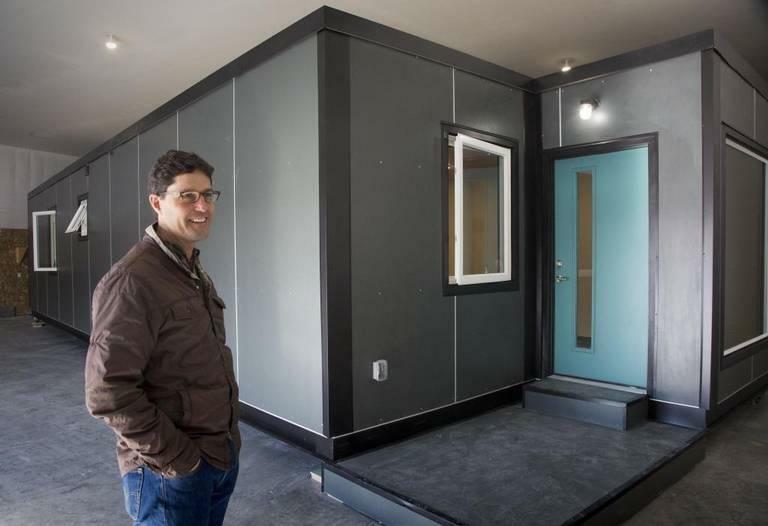 Scott Flynn heads a company called IndieDwell that plans to turn that steel box into a functioning living space at a price 50 to 75 percent lower than a home built on site. Flynn tells the Idaho Statesman his homes can be used to solve the housing crisis in Boise and across the country, with a two-bedroom, one-bath home costing $65,000 before installation. Container homes are legal in Boise without a planning and zoning hearing, though none of them have been installed according to the Statesman. Nearly 10,000 homes are needed by 2025 to keep Boise's current housing conditions, which many say is already cramped--especially for low-income residents. Flynn says the factory-constructed modular housing built using the frame of recycled shipping containers is priced less because of lower initial costs and 80 percent reduction of on-site construction time, as well as lower maintenance and operating costs.